Risk everything, or no one goes home. With Earth’s resources on the verge of exhaustion and worldwide civil war imminent, we looked to the stars for answers. Beneath the surface of lifeless planets, we found all the resources we could ever consume. Stellan Lund is chief security officer aboard the Atlas, a carrier. Life on a carrier is peaceful. 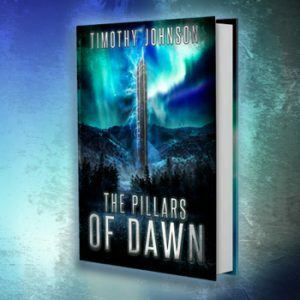 As long as the Atlas’ crew does its job, the New Earth Council leaves them alone. The only risk is an occasional case of black madness, a mental-break condition that is thought to be caused by extended deep space travel. It’s a small risk to take for freedom. 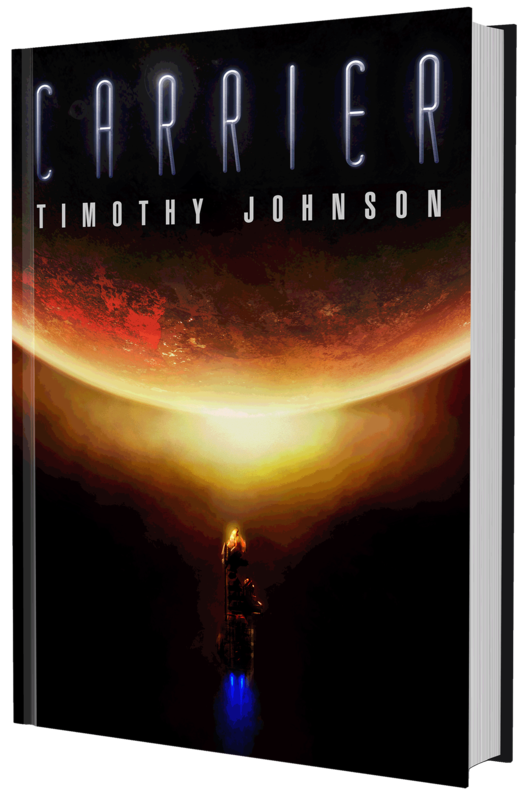 But then Adelynn Skinner, an agent of the New Earth Council, boards and orders the Atlas to uncharted territory where a dying planet with unidentified material waits. It could be the key to ending New Earth’s civil war—or it could end civilization as they know it. They will break protocol and mine the planet before its red giant star consumes it because some risks are worth taking. Stellan isn’t about to let Skinner jeopardize the Atlas or its crew, but with mounting disturbances and rising concern over the black madness, Stellan struggles just to hold the ship together. When an accident exposes some of the crew to the alien material, reports of black madness escalate. But something about these cases is different—and it seems to be spreading. 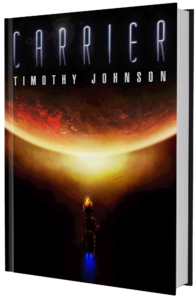 Combining character-rich storytelling, a dynamic plot, dystopian themes, and suspense that builds into an avalanche, Carrier follows Stellan Lund as he discovers he carries the fate of a world and that sacrificing whatever remains of his soul may be necessary to survive. 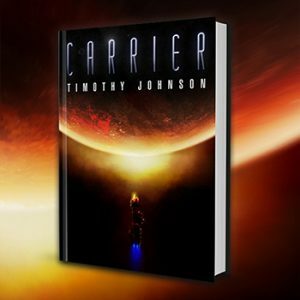 Carrier is an action-packed, horrifying contemplation of what it means to be human and heroic, ultimately investigating how the most beautiful human traits may lead to the destruction of all that we hold dear. Because some risks are worth taking. What would you risk to survive?